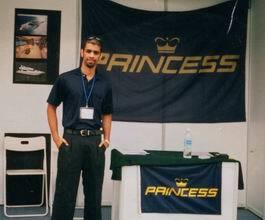 Baggy Sartape has been in Hong Kong’s boating industry since 1999, Initially assisting in selling used boats. As after the 1997 market crash there were a lot of used boats in the market for sale for a undervalued price. The main market that time was Australia and USA. 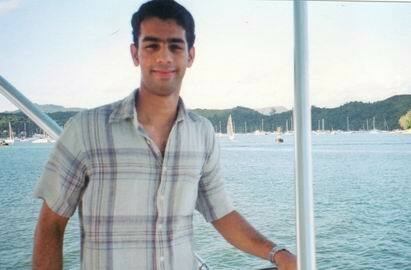 It was also a start of dot.com boom in USA so the market was absorbing a lot of used luxury yachts from Hong Kong. Internet marketing was also in its initial stage and very new. Baggy Sartape at that time being 19 years old just out of High school a couple of years ago, was familiar with the workings of internet marketing and website design. This increased the sales to a large number and exposed Hong Kong brokers directly to the customers as well as international agents. 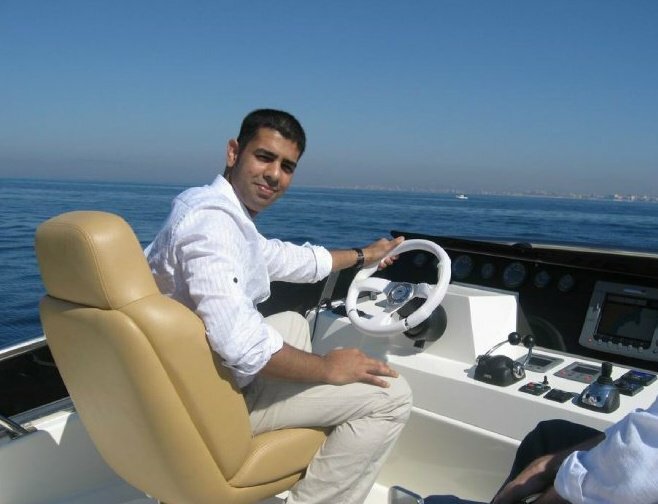 Prior to that only a handful international yacht brokerage firms would see the opportunity and act as buying agents for their clients. The main market that time was exporting used boats from Hong Kong to overseas markets such as USA, Australia, New Zealand. Eventually the markets in Hong Kong recovered and used boats lost its attractive pricing. 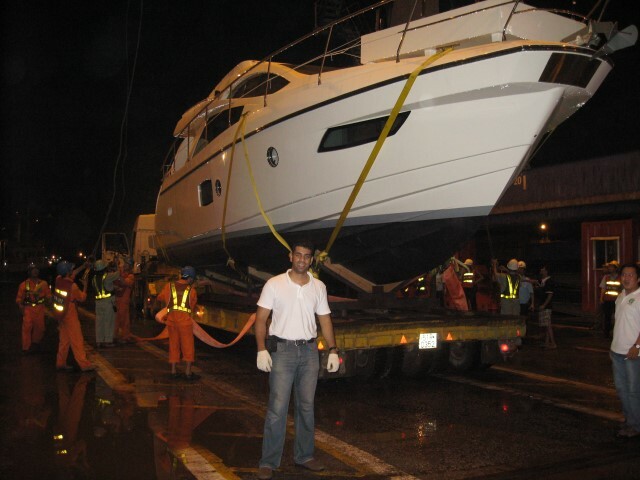 Baggy Sartape was also involved in selling of Princess yachts in Hong Kong, Ferretti yacht sales, Riviera yachts and various Taiwan brands and independent shipyards. 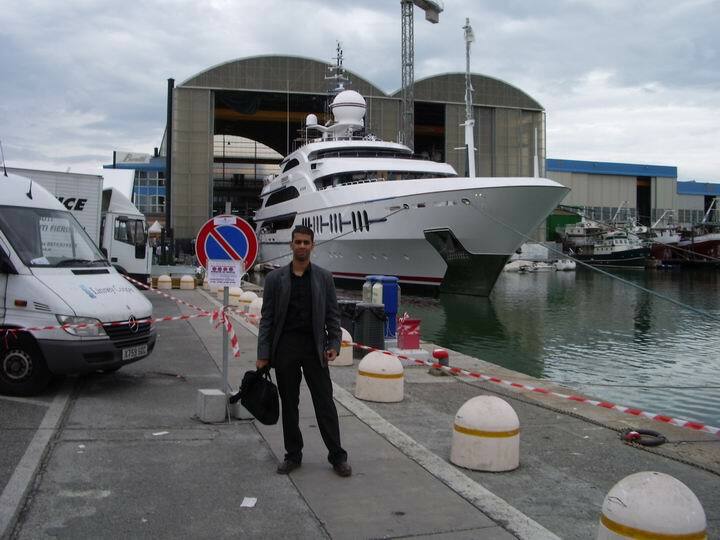 Around year 2005 Sartape was involved in Astondoa yachts dealership from Spain. 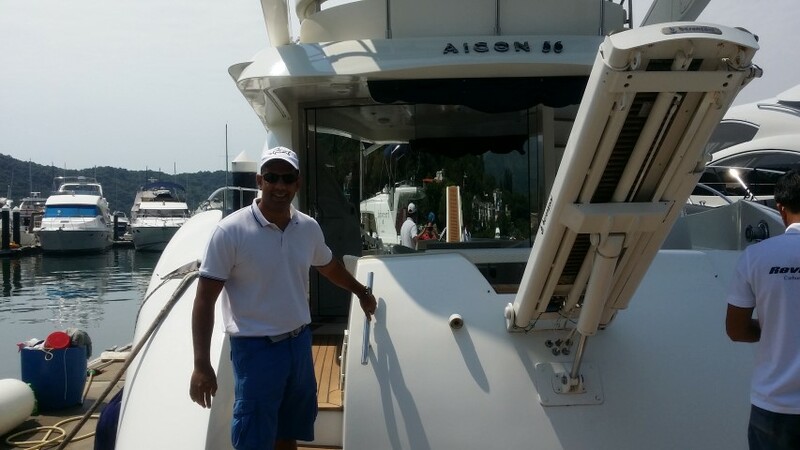 Many previous brands of yachts required large number of sales per year, were not as flexible in meeting customer’s needs and also continuously changed their local dealers as dealers did not meet the sales quotas. This was the reason that no dealer could get a good foot hold in the market and develop the brand steadily and could develop a long term sales strategy. Every dealer was there to take maximum profit until the dealership lasted. This is also continuing today. Astondoa shipyard on the other hand does not put high pressure on its dealers and the relationship is developed on trust and integrity, as well as the shipyard is interested in getting a right market share so the prices are flexible and even the boats are customizable according to the client’s needs. Unlike other dealers Sartape does not like to promise perfection or claim to sell the highest quality and without any problems. In fact this aspect is impossible to buy a large yacht and expect no minor issues. Instead he likes to realistically tell the customers what to expect, what to prepare for and mainly ensure that the product which is sold is of high value to the customer. 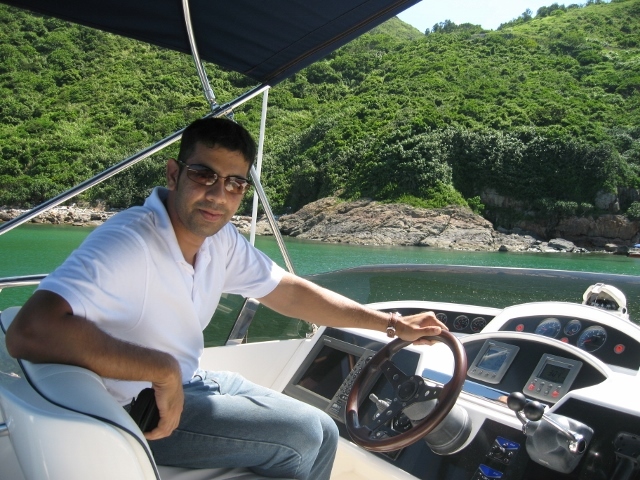 Below are some pictures of what seems like a life time in Hong Kong’s boating industry. 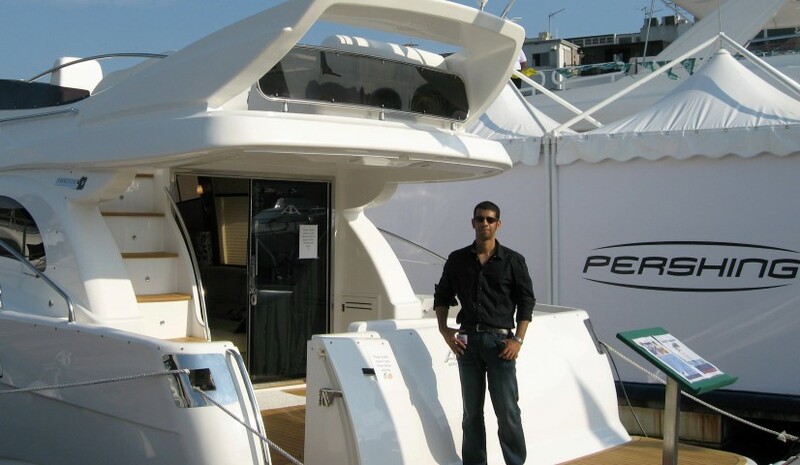 In boat show in Hong Kong, Sai kung, in 2008 when we had bought our first Astondoa 43 flybridge motor yachts in Hong Kong. 2011, when we shipped an Astondoa 44, the 1st boat out of 3 boats we delivered in Vietnam. The boat was shipped to Ho Chi Minh City and from there it was trucked to a holiday destination in Nha Trang. 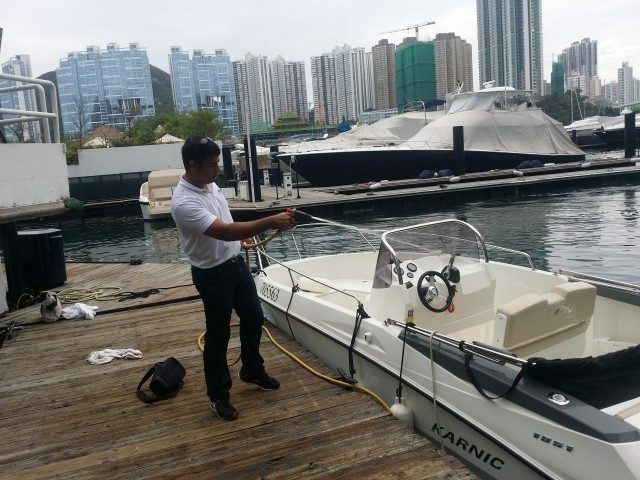 2014 , cleaning our karnic 1851 speed boat. 2017 – together with the Buyer and Seller of a used boat. Appreciate Another smooth deal with good people. 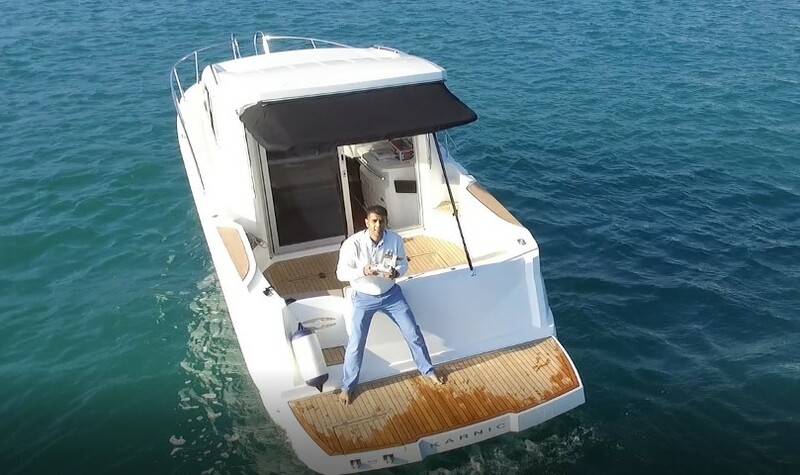 2018, After testing and drone video shooting of our karnic boat. 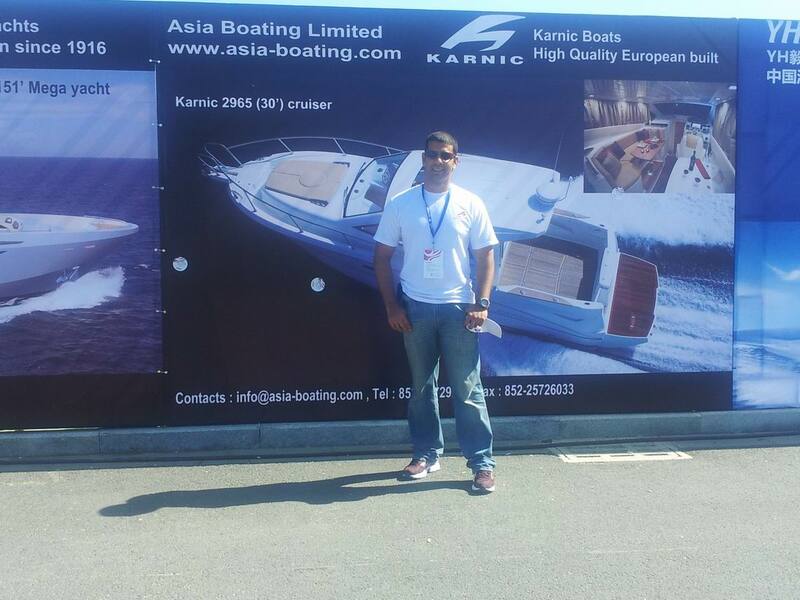 Arrival of our Brand New Karnic 2965, a 34 footer small cruiser. 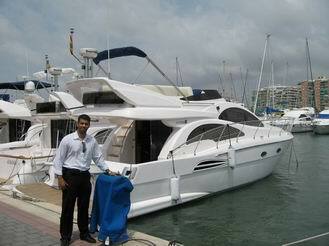 A beautiful yacht which is small but yet huge inside. 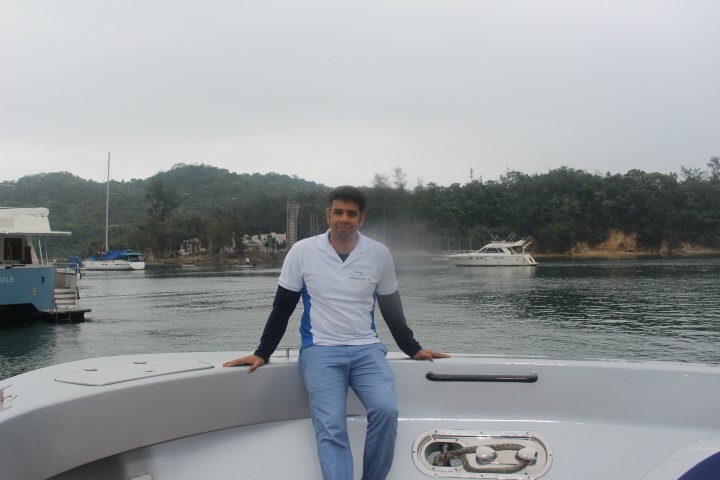 2019, While taking picture of a Bluegame 47 in Sai Kung, Hong Kong.